A few steps away from the wood-fired sauna, this snug bungalow is cozy for two. This one room cabin has a queen bed, full kitchen and bathroom with shower. "Great service, friendly and accommodating. Cute cabin, sauna was awesome. Love the trails everywhere. We are coming back and bringing the kids... great place for the whole family to stay and play." A few steps away from the wood-fired sauna, this snug bungalow is extra cozy for two. This one room cabin has a queen bed, full kitchen and bathroom with shower. "Hospitality! Food! Flowers! Hiring a marmot to delight your guests! A memorable visit, as always! Back in October." 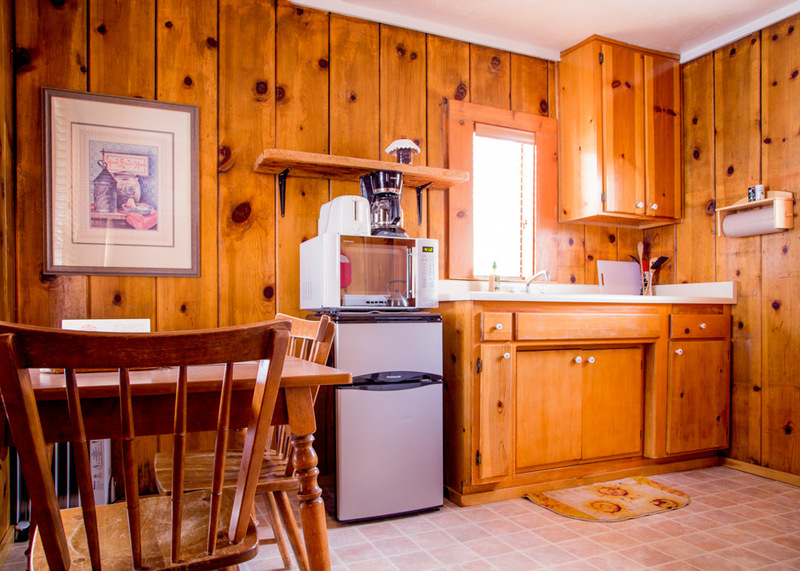 This spacious cabin features one bedroom with a queen bed, living/dining room with wood burner stove, full kitchen, bathroom with a shower and a deck overlooking the pond. ❊ Can be combined with Lupine and Larkspur. "Everyone was friendly and accommodating. I love this place! The best if you want to get away from it all, no wifi or phone reception. Yay!" This quaint cottage has one bedroom with a queen bed, full kitchen, and bathroom with shower. It includes a gas log fireplace. 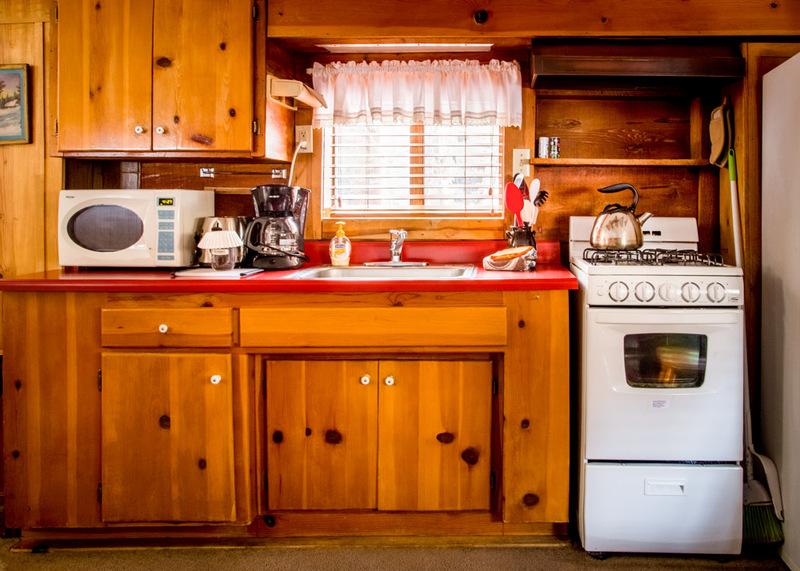 "Wonderfully clean ,cozy, and already warm cabin. The complimentary hot chocolate (or wine) is wonderful when coming back in from a day in the cold. Lovely place with lovely people, in a wonderful location, especially for cross-country and back-country skiing." "This feels like our home-away-from-home. Thank you for making us feel so welcome and special. Thank you for the wine, hiking, and life advice. We are excited to return for many, many years!" Nestled in the aspens with the creek running by, Waterfir is a romantic favorite. This classic Sierra cabin features a queen bed with full kitchen and wood stove with natural rock hearth all in one room. Bathroom with shower. "Offered a restive, peaceful place to disconnect from the world and enjoy 'doing nothing!' Hammocks, sauna, wine, food, and the best sleep I've had in weeks." Light and airy with a sun deck. This cabin has a queen bed in a small sitting area with a wood burner stove, full kitchen and bathroom with shower and tub. "Great place, great food, really nice staff, good access to outstanding hikes. Come stay here!"